MRTIS is a maritime information and vessel tracking system built for the Mississippi River. Our services are designed for a wide array of uses, from port operations to situational awareness. Using our custom-built riverside antenna and camera networks, stay aware with your maritime environment. With our mobile friendly interface, stay connected whether at home or on the go. Our variety of customized services are designed specifically to improve your operation’s efficiency. Sign up for one of our free trials for a preview of our services. Memberships can be cancelled at any time. MRTIS is designed to provide a robust suite of services for vessel tracking, fleet management, traffic interpretation, weather data, visibility monitoring and much more. 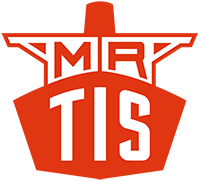 Founded in 2010 by two Mississippi River Captains, MRTIS was originally named “River Tools” and was primarily designed as a maritime consolidation system. Its original purpose was to bring together multiple sources of information into one interface. MRTIS was founded to improve upon the dissemination of information in the maritime industry. TRY IT FREE, CANCEL ANYTIME.